Norwegian Cruise Lines made it eight years in a row as it was named Europe’s Leading Cruise Line at the World Travel Awards. Also scooping the prize for Europe’s Sustainable Tourism Award, NCL had twice as many reasons to celebrate during the event held in Sardinia, Italy, earlier this month. The prize was awarded in recognition of the cruise line’s continued dedication to cruising in Europe. There are currently four Freestyle Cruising vessels from Norwegian Cruise Line in Europe – trumping many of their larger rivals. This is the fourth consecutive year when NCL deployed this many vessels in the continent. NCL’s flagship, Norwegian Epic, was the recipient of the line’s second award – recognised for the environmentally-friendly features of the ship. Despite the line’s Scandinavian name and attention to the European market, Norwegian Cruise Line is in fact based in the USA. Additionally, the cruise line is currently increasing its foothold in Asia – dedicating more ships to the fastest growing cruise market on Earth. The line will be hoping to make it nine years in a row at the 2016 World Travel Awards – boosted by the upcoming launch of the Norwegian Escape this November. The ship will spend the end of October celebrating its launch with a range of special events throughout Europe, before sailing to Miami where she will spend her maiden winter on the seas. The other big cruise winners during the World Travel Awards were the city of Venice and the Port de Barcelona which were named Europe’s Leading Cruise Destination and Europe’s Leading Cruise Port respectively. Image sourced via World Travel Awards Gallery. 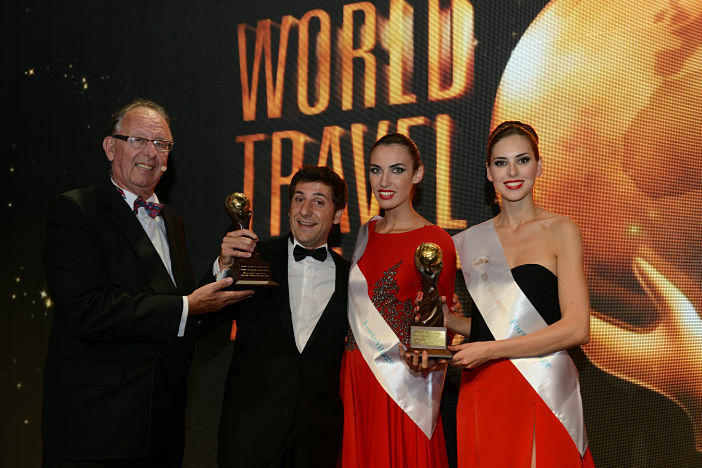 Credit: World Travel Awards.